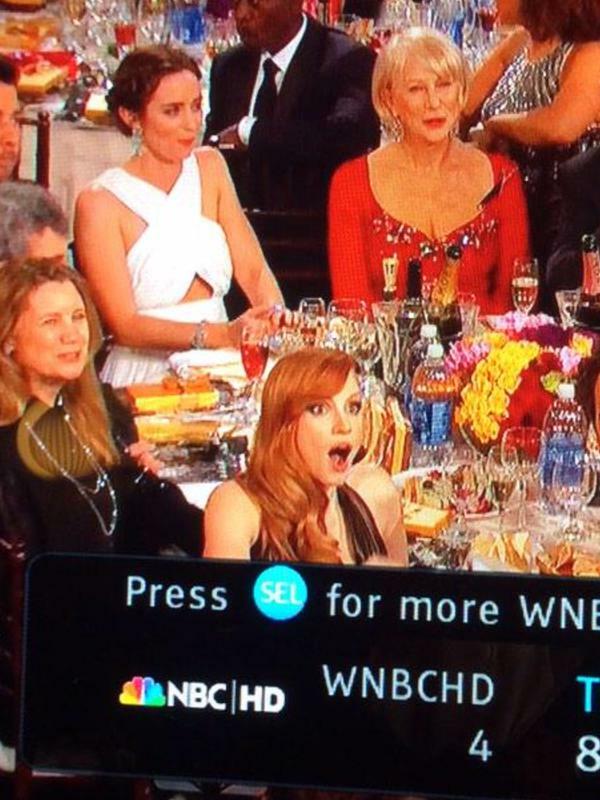 Unless you were living under a rock, you know that the Golden Globes took place last night. The biggest stars in film and television gathered to see who would win the prestigious awards. The awards were hosted by the oh so fabulous and hysterical Tina Fey and Amy Poehler. The awards definitely had its share of twist and turns, but it also had its predictable moments. Let’s take a look at the best and worst moments from last night. 1. Gina Rodriguez wins her first Golden Globe Best Actress in a Television Comedy Series –> Gina Rodriguez was a first time nominee for her show Jane, The Virgin. Getting a nomination was a major accomplishment for the newbie actress. From the area she was seated in, it seemed very unexpected that they thought she would be the winner. After a brisk walk to the stage, she made one of the most heart-felt speeches of the night. Watch the full speech below! 2. Jeffery Tambor and Transparent Best Actor in a Comedy Series and Best Comedy Series–> Now this show has gone straight to the top of my list to binge watch! Amazon took its first win for the show Transparent. Not only did the show walk away with the win, but Jeffery Tambor also took home the trophy for his portrayal of a transgender women. His speech had a great social impact. (Seemed to be the theme of the night, see Commons speak about recent issues here) The cast also spoke about recent transgender issues and dedicated the win to Leelah Alcorn Watch the full speech below. 3. Michael Keaton, Eddie Redmayne, Julianne Moore, and Patricia Arquette–> Prepare to hear these names A LOT this coming Thursday during the Oscar nominations. Keaton and Redmayne will have to duke it out come Oscar night (most likely) to see who will take home the honorable award. Julianne Moore was a lock to win and definitely deserved it. She gave a heart wrenching performance in Still Alice as a woman with early onset Alzheimer disease. Arquette’s award was twelve years in the making. She also had a flawless performance and really developed into her character on the twelve-year journey. Check out their speeches below. 4. Amy and Tina!!! The third time is the charm!!! Amy and Tina killed it once again and did not leave anything off the table. I have to admit, I did enjoy their opening monologue a little bit more last year, but this year was still great! Some of their best jokes were calling out Emma Stone for her role in Big Eyes, giving Oprah a new name to be called by, and of course, the Cosby jokes. The reactions from the audience was priceless. We will surely miss them both next year! 5. Boyhood, Boyhood, BOYHOOD!!! Boyhood has to be one of the most unusual film projects in a long time. The film took twelve years to make and kept the same team of actors for the full project. (Check out the full review here) We literally saw the actors grow up and age on-screen. It won two awards for best screenplay and best motion picture drama. If there is a lock going into the Oscars, this is it. Boyhood for best picture! 1. 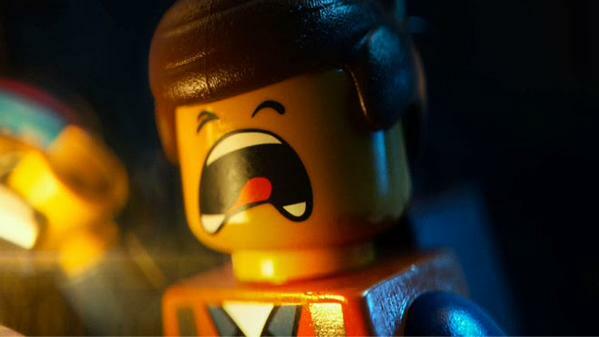 The animation category The Lego Movie walked away empty-handed. 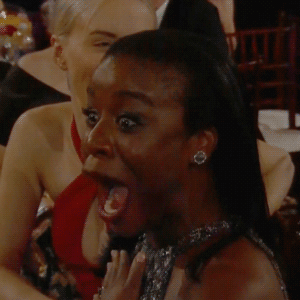 Although How To Train your Dragon 2 was fully deserving of the award, I was hoping for Chris Pratt and Elizabeth Banks to walk away with a win. I think the Lego Man was the most disappointed! 3. Eddie Redmayne’s speech Eddie Redmayne did NOTHING wrong. The only reason he is on this side of the list was because his speech got cut short. We get it NBC and HFPA. The show runs really long and he was taking forever, but give the guy a moment to speak!! Idea for next year! Give the major winners more time towards the middle so they have some time to speak!? See him get cut off below. HUGE UPSET!! I would have bet money that Birdman would have walked away with the win for with best picture comedy. The Grand Budapest Hotel is a weird, quirky, and witty film but not the most conventional. (But neither is Birdman so it is a toss up) I wasn’t the biggest fan of the movie (see why here) but thought Birdman was a lock. Biggest shock of the night. 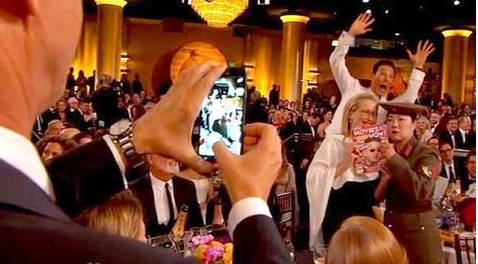 The Golden Globes definitely did have its share of surprises and hysterical moments. Tina and Amy did a great job. And now on to the next awards show! We will see if any of these wins will play into the Oscar nominations when they are announced this Thursday morning. ****!! **** Also HUGE SHOUTOUT to Entertainment Tonight. I was chosen to be a part of the awards coverage on ET as the #ETawardsfan extraordinaire! I had a great time live blogging the show alongside some great people! Thanks so much for the awesome opportunity and the great experience!